In just a few short months, the Johnson fam (Rhett & Elisa) will load up a truck and move far, far away. We are going to New England; to Merrimack, New Hampshire, to be exact. We’ll be residents for a young church plant reaching lots and lots of people who don’t know Jesus. We’re lucky in that both of us have opportunities to work in our areas of passion as we serve New Englanders. Movement Christian Church opened it’s doors on December 31st, 2016, just a few months ago. Starting out with about 40 members, they have since grown to around 250! This was their projected attendance THREE YEARS from now, but Jesus has had some pretty big things in store for them. The heartbeat of Movement is to move people closer to God and to others. This is definitely something we can get behind. In these past few months, Movement has shared the Gospel with, loved and encouraged countless people. They’re allowing people to utilize their building to make a difference in the community. They are baptizing people and reintroducing them to a God who has never abandoned or stopped pursuing them. While there, Rhett will be working alongside the Next Generation team, specifically with high schoolers. He also has the chance to grow as a worship leader, preacher and teacher. He will also be able to help coach the local middle school soccer team! Elisa will be working to create a culture of justice within the church. She will be organizing opportunities to serve, strengthening relationships with para-church organizations and helping foster community engagement through Movement’s small groups. 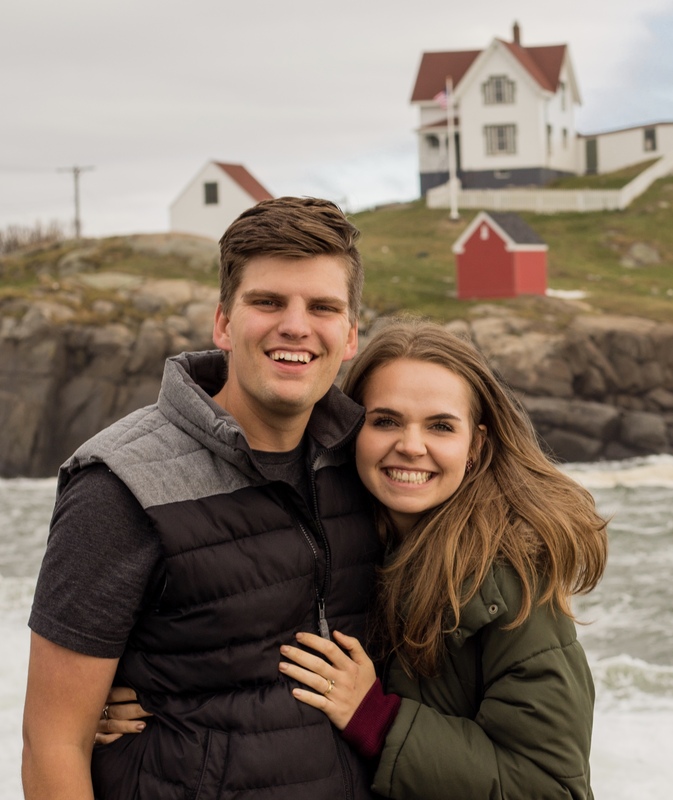 With Rhett’s passion for youth and worship and Elisa’s heart for justice, this is a truly unique opportunity that will allow us both to explore and grow in the gifts God has given us. While there, we will both be working to develop relationships, make disciples and become a part of the Merrimack community. This is not something we can do alone. So many of you have prayed for and supported us throughout our lives, and now we’re inviting you on this venture with us again. Please follow along, explore our site and join us in this journey! Praying for you guys! I am so excited for you both 🙂 I know God will use you in beautiful ways. Can’t wait to visit and see the community you will soon call home!!!!! Thanks friend! So grateful for your love and your prayers!